The Clip Bicycle Rack, being as simple and inconspicuous in the streets as a paperclip on a desk, can be applied anywhere: from monumental areas to modern architectural surroundings. This timeless design supports all types of bikes which can easily be chain-locked to the racks for additional security. 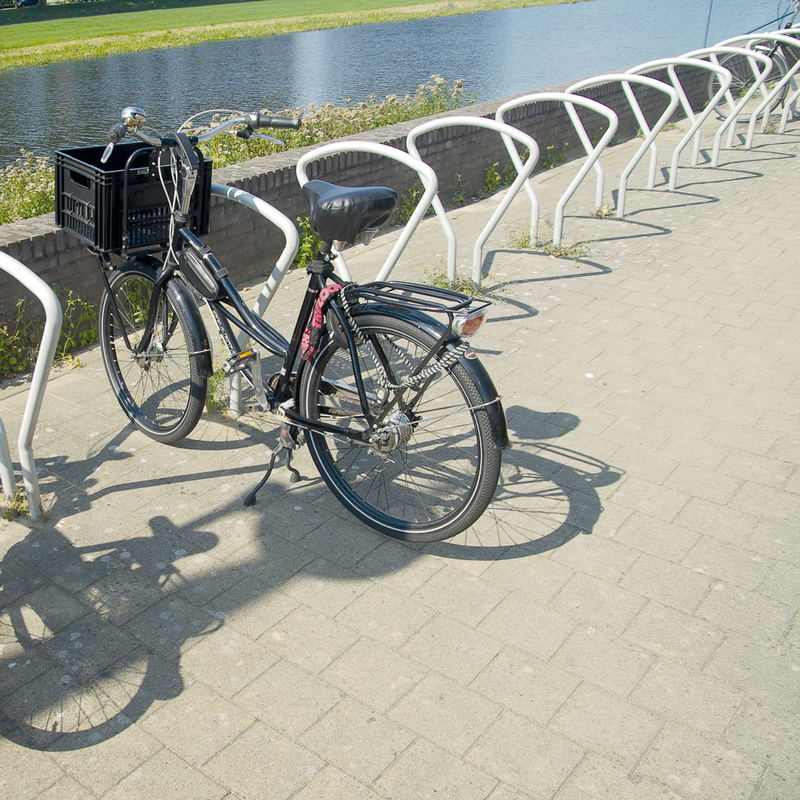 The Clip bicycle racks has been awarded the Dutch quality mark for reliable cycling facilities: FietsParKeur 2002. 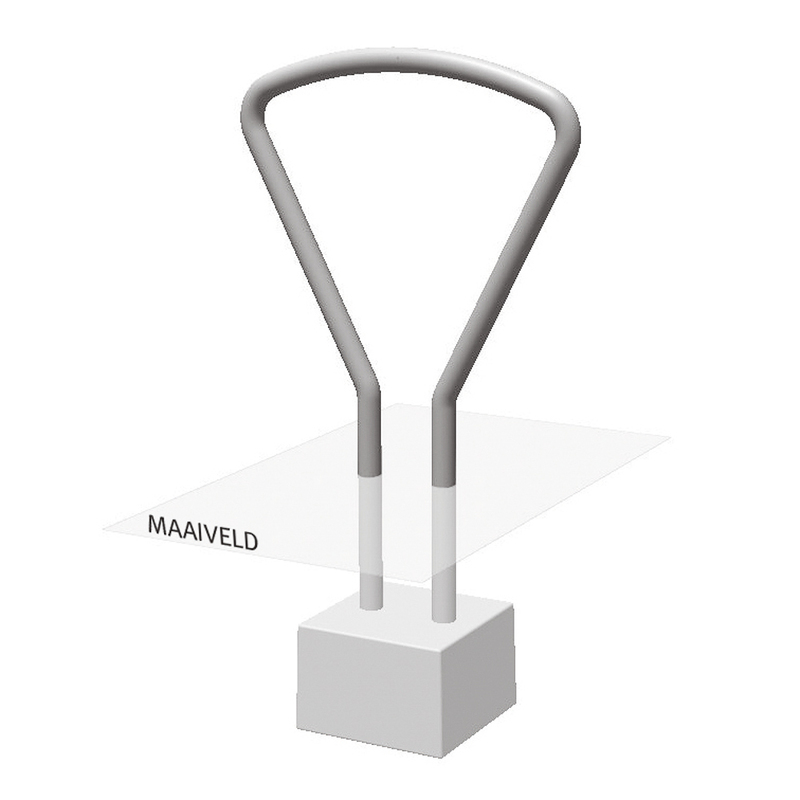 The Clip is available in galvanized and stainless steel or optionally powder coated. However, damage to the coating owing to rough handling is unavoidable. 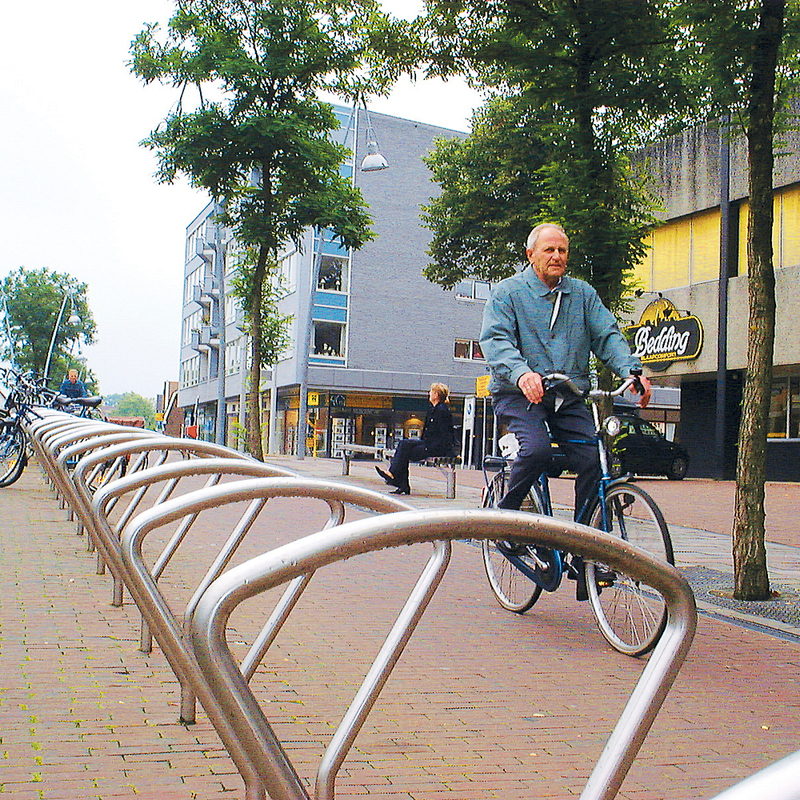 The racks can be interlinked with an underground connection, which makes them exceptionally suitable to create long, straight lines of bicycle racks. However, they are also available as individual racks on a concrete base. 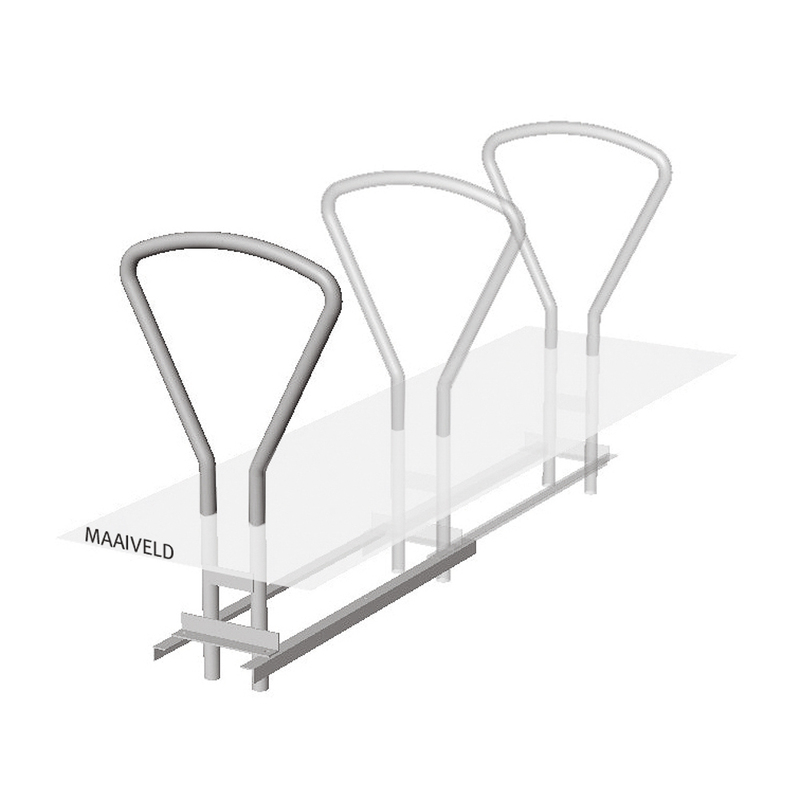 Standard height of ca.75 cm | 30"
Standard width of ca.70 cm | 28"
The recommended spacing for bicycle racks is 95 cm | 37"